This might take an hour or two. Spend a few hours on your business and you’ll have a customer list. Spammy companies pay big money for these types of lists. 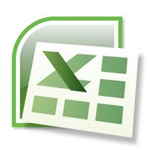 Open Microsoft Excel and create columns for Name, Email, Phone, Address, City, State, Zip Code, and Notes (e.g. referred by, how you met, potential purchasing size, etc.). You should also create a Classification column so you can track them as prospect, contacted prospect, customer, or ex-customer. Save this file to your desktop so you can easily update it as you build your customer base. In one sentence, describe the person who is most likely to purchase your product or service. You might have different target markets for various parts of your business. Focus on the portion of your business that is the most profitable. Take a look at all of your friends, family, neighbors, acquaintances, etc. and make a list of everyone who falls into your target market description. Input their information into your database. These will be the first people you reach with your advertising. Once you’ve exhausted your network, use Google, phone books, Reference USA (free from your local library), and other databases to search for and find more customers. When you find someone who is a good fit to your target market, put them in your database to contact later. If your business truly provides a good product or service, you will feel completely comfortable marketing towards your friends and family. This is a good test to judge the quality of your business.